3 YEAR WARRANTY WITH ALL SYSTEMS! Complete with 5000 item database to get you going FASTER! ALL OF THESE PRODUCTS INCLUDED! * 2 Lane FULL VERSION CASH REGISTER EXPRESS PROFESSIONAL! A liquor store's main concern besides quick checkout is inventory control. Keeping tight control over liquor and fine wines with a point of sale system is the way to do it. 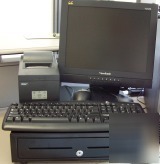 Cash Register Express POS system combines the ease and flexibility needed to manage your liquor store. Each item that gets sold will be deducted from your inventory list. Tracking items in your store can easily be managed with handheld inventory devices that integrate with Cash Register Express. As Registered PC AMERICA Partners/Resellers we offer support that others can not. HERE ARE A FEW CHOICE FEATURES! THIS IS A COMPLETE SYSTEM PRECONFIGURED FOR YOUR LIQUOR STORE. This system comes complete to you with Free 90 Day Technical Support direct from Cash Register Express. You also receive a full 3 year warranty direct from us! No need to chase around from Manufacturer to Manufacturer. ONLY $5195.00 for Your Complete Liquor Store system! Assured Computing Technologies YOU GET ALL OF THE ABOVE FOR ONLY $ 5195.00! Call or email us with your questions at either of our National Locations. We have your solutions and your answers! SOLUTIONS AVAILABLE FOR ALL RETAIL, HOSPITALITY AND SPECIALTY MARKETS. International orders are only accepted with ESCROW.COM verification. New Hampshire is a TAX FREE STATE. Our motto is 'LIVE FREE OR DIE!' That answer your question? 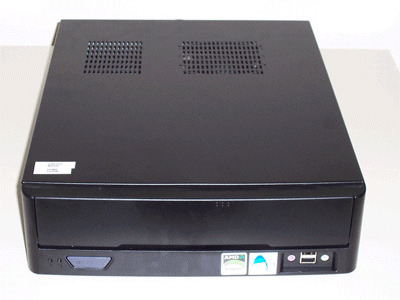 Custom Point of Sale systems are configured individually for each user. We pre load all software, device drivers and updates/patches. All custom POS sales are final given the nature of the item. There are certain special circumstances which may be an exception. There are NEVER a refund on software.